BoVegas is an elegant online casino that offers a luxurious Las Vegas experience to its registered customers. The casino runs on the authentic software of developer RealTime Gaming and operates seamlessly on all platforms, with players being able to load the games in instant play or via the casino’s dedicated client. BoVegas CasinoPlay at BoVegas Casino, get your $5,500 bonus now! BoVegas is home to over 200 first-class games which extend from various fun-filled slots to video poker and table games like roulette, craps, baccarat, and blackjack. The operator is happy to embrace real-money betting action from the United States, which is one of its biggest advantages. In addition to its comprehensive library of games, BoVegas is firmly bent on creating the best promotional incentives and bonuses to reward players for their action. The casino also works with numerous US-friendly payment methods and is compatible with all commonly used smartphones and tablets on the market. There is a very useful live chat facility where players can receive further information and help at all times of day or night. BoVegas is guaranteed to provide a fair and secure environment for all gamblers who join its website since its operations are licensed and regulated by the Government of Curacao. BoVegas may be a newcomer to the online gambling world, being launched in 2017, but this does not mean the casino disappoints in terms of gaming versatility. There is a melange of world-class slot games as well as a broad enough range of video poker and table games varieties so that all types of players are happy and content. All available games are courtesy of RealTime Gaming, one of the most acclaimed software suppliers in the iGaming industry. RealTime Gaming’s experience and know-how translate into extreme playability, great authenticity of the graphics and sounds, and an array of innovative and helpful features that aim at making your online experience truly unforgettable. The entire library of games is grouped into different sections, depending on the type of games. Special categories are reserved for the latest additions to the library and the most popular titles. If video slots are your preferred type of game, BoVegas will certainly not let you down. Its website features a comprehensive enough range of slot varieties to meet the demands of the fussiest players. Some of the titles are designed to mimic the old-school fruit machines while others are more advanced and offer a variety of special features that would earn you even larger payouts. 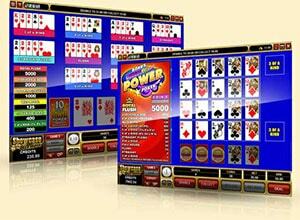 Some of the functionalities are exclusive to RealTime Gaming slots. One such example would be the Feature Guarantee which ensures the player activates the bonus game after a specific number of paid spins. You can find it in games like Hairway to Heaven and Aztec’s Treasure. Most of the other popular slots feature free spins with guaranteed wins, bonus games, and special symbols. Slots like Basketbull, Spirit of the Inca, and Megasaur give you the opportunity to pocket rather tasty progressive jackpots. Players who look for video poker will no doubt be pleased by the selection available at BoVegas. This is a versatile enough selection which spans around 15 variations of the popular casino game. The section contains all-time favourites like Jacks or Better, Double Double Bonus Poker, Deuces Wild, and All American Poker. Some of the available games, like European Slot Poker, deviate from the standards – here, the aim of the player is to obtain matching cards but there is also a High-Low Bonus feature which can further increase your wins. Others, like Sevens Wild, utilize wild cards which allow you to form extra five-of-a-kind hands and wild Royal Flushes to receive special payouts. The category is grouped on the basis of the number of hands the variations support. You have the option to play single-hand video poker or go for one of the multiple-hand varieties where you can bet on 3, 10 or 52 hands at a time. Thanks to its fruitful partnership with RealTime Gaming, BoVegas enables its customers to play all types of classic table games. This section is broken down into several subcategories depending on game type and each title features comprehensive information on its gameplay, rules, and average return percentage. Blackjack fans are covered with several innovative varieties like Suit’em Up, Face Up 21, Pontoon, European Blackjack, and Perfect Pairs. The baccarat selection is someone thin as players are provided with a single variation of the sophisticated card game. Poker is represented with several titles, and some of those, like Caribbean Stud, Let’em Ride, and Caribbean Hold’em are linked in a progressive jackpot network. BoVegas succeeds in remaining extremely competitive despite its young age by building a comprehensive enough library of roulette games to meet the needs of all fans of the casino classic. Of course, there is more to be desired from this category but the absence of less standard varieties can be excused by the casino’s current lack of experience. The website enables its customers to take advantage of a nice collection of popular roulette variations, which spans all commonly played double-zero and single-zero games. Those who do not mind the higher house edge can play American Roulette while players looking to generate more profits over the long run can choose between the French and the European version of the game. One of the variations supports multi-player mode, allowing you to make bets at the virtual table along with fellow roulette mavens. 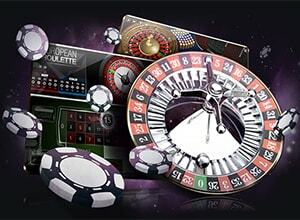 European Roulette is represented by one variety which can be found in the Specialty Games section. The game ensures an authentic experience for all casino players thanks to its high-powered visuals and immersive sounds that make you feel just as if you are gambling in a real casino. It utilises the rules of the standard single-zero variation and enables you to make a wild variety of inside and outside bet. Players can also experiment with bets on the racetrack like Orphelins, Voisins du Zero, and Tiers du Cylindre. The gaming controls of this RealTime Gaming creation are pretty straightforward which means you will experience no issues with adjusting the size of your wagers and placing your preferred bets. The layout is an exact replica of landbased roulette tables. Below, you will find several chip values you can pick from. The game is playable from as little as $1 but bets go as high as $250 per coup. There is a smaller window within the base-game screen where close-ups of all winning numbers are displayed. You can also make use of the History feature showing you which numbers have been spun on previous rounds. BoVegas also gives roulette fans the chance to indulge in the French version of this classic game of chance. The virtual variation remains faithful to its landbased counterpart by combining lifelike audio effects with vivid visuals and graphics. The game’s design resembles for the most part that of the European variation as here the wheel also features a single-zero. Call, or announce bets, are also supported. The layout here is slightly different from the one at the European table since bet types are written in French. However, if you are already acquainted with the bet types and how they work, language will hardly hinder you from finding your way around and enjoying yourself. You can keep track of previously spun numbers in the History section or save some of your favourite bets so that you can place them with a quick click. What sets this variety apart from the European one is the presence of the La Partage rule which dictates players are entitled to get half of their stakes back on losing even-money bets when zero is spun. If you are a flat bettor, you can also sit back, relax, and let the Autoplay feature do the work for you. BoVegas caters to roulette enthusiasts from the USA with one variation of American Roulette which plays out on a double-zero wheel. If you have nothing against playing a game with an increased house edge, you might want to try this RealTime Gaming creation. The look and feel of the game appear a tiny notch outdated but it still plays seamlessly and offers a very user-friendly interface and gaming controls. The game supports a host of betting options, including all the typical inside and outside bets. There is an additional wager type you will not find at the single-zero tables, which covers the five grids containing numbers 0, 00, 1, 2 and 3. Feel free to experiment with this bet type if you are feeling brave enough to combat the increased house edge this wager carries. The minimum and maximum limits at the American table coincide with those in European Roulette, enabling you to risk as much as $250 on each spin. To many gamblers, social interaction is an indispensable part of the experience at the roulette tables but unfortunately, many roulette variations you can play online are void of interaction with fellow players. Those who become part of the BoVegas player community, however, have no reason to complain about that since the casino has added one multi-player variation that plays in accordance with the French rules. All the rules and supported bet types coincide with those in the standard version of the game. The biggest difference you are bound to notice is that here you get to make your bets alongside other players. For the purpose, you are required to first choose an alias and an avatar to represent you in front of other roulette fans. If you grow tired of playing the game, you can simply relax and watch others play. There is also an in-built chat functionality where you can drop a few lines to introduce yourself to the community or congratulate fellow players on their wins. Since BoVegas is primarily an online gambling platform that targets players from the United States, most of its supported banking solutions are geared to the needs of customers from this jurisdiction. However, the operator also services players from a huge range of other countries and therefore, accepts some internationally supported deposit and withdrawal methods. The list of options is a bit thin at the current moment but we expect the casino would flesh out its cashier menu by adding more methods in the future. Deposits at BoVegas are presently offered via trusted payment solutions like the credit and debit cards by MasterCard, Visa, and American Express. You can carry out a deposit to your account directly from your Bitcoin wallet if you insist on an enhanced level of anonymity. The casino also enables its players to conduct deposits over the telephone. In the cashier, you will find a toll-free telephone number which you can call so that BoVegas’ support representatives can assist you in completing your payment. To the attention of card depositors – the card you plan on using at BoVegas needs to be verified first so take the time to fill in the verification authorization form. You can find it in the cashier menu. The minimum amount you can deposit is $25 whereas the maximum is $5,000. Bitcoin payments are an exception since the method allows you to deposit an unlimited amount. The winnings players have amassed at BoVegas can be withdrawn either by credit cards by Visa or MasterCard or via bank wire transfers. BoVegas processes deposits right off but customers who withdraw have to wait between 3 and 7 business days until they receive their winnings. In order to initiate a withdrawal, you need to have at least $100 in your balance. The withdrawal ceiling is $2,000 per week, for a monthly maximum of $8,000. Since this is a US-friendly online casino, it naturally works with USD but there are two other supported currencies as well – AUD and EUR. Being a newbie in the industry, BoVegas has devised a clever way of attracting customers’ attention and keeping on par with its competitors. The operator draws players’ attention with a pair of sign-up offers, starting with the 250% Match Bonus where there is no limit on the winnings you can withdraw. You can redeem the bonus in exchange of a deposit of $25 or more and withdraw the sum you have won with the free monies after playing through the bonus and deposit amounts at least 30x. Note that if you redeem a welcome bonus to use on card games, the wagering requirements would increase to 35x the bonus amount. After you have played with the first bonus and have cleared its playthrough from your bonus balance, you can apply for the second welcome bonus offer, consisting of a 300% Deposit Match of your second deposit of $25 or over. The two bonuses can collectively earn you the appetizing sum of $5,500 in free play. The casino is also known to reward newcomers with no-deposit bonuses but in order to receive one, you must contact a representative of its customer support and ask them to credit you with the bonus amount. This generosity also extends to existing account holders, who can take advantage of a variety of cashback offers, free spins, and reload deposit matches. The operator hosts a number of promotional incentives, some of which are available on a monthly basis. Others can be redeemed only on certain days of the week. The 155% Slots Match Bonus plus 45 Free Spins is a perfect example of the casino’s magnanimity towards current customers. The offer is active any Tuesday of the week and requires you to load a minimum of $90 into your existing BoVegas account. The free credits can be spent on qualifying slot games only, with players having the option to redeem the bonus up to 5 times per day. The wagering requirements are the same as those for the welcome bonus or 30x. BoVegas keeps abreast with the trends in the online gambling world and recognizes the importance of hosting a VIP Program in order to keep its players happy and satisfied. The casino has tailored an interesting loyalty scheme which revolves around players collecting points and then exchanging them for various rewards. The program consists of four levels that are given rather original names like Play Knight, Royal Elite, Imperial Pro, and Vegas Legend. Customers can accrue comp points through real-money play and then convert them into cash at the rate of 100 points for $1. In order to receive 1 point, you must wager at least $10 of your own money, which means playing with bonus credit does not count towards the point accumulation. Members of the programme get a taste of the royal treatment in the form of different perks like cashback bonuses, status recognition chips when they progress to new levels, dedicated customer support, birthday bonuses, personalised promotions, insurance on losses, better cash-out limits, and higher comp-point conversion rate. Of course, when you first join BoVegas, you will not be granted access to all of these things automatically. You need to work for them by reaching the higher levels in the loyalty scheme. Speaking of cashbacks, eligible customers of BoVegas are credited with a percentage of the amount lost during the week but for this purpose, they should not have any pending withdrawals and their active balance should be less than $10. There are wagering requirements enforced on the cashback bonus as well but these coincide with the playthrough for the sign-up offers – 30x for slots and 35x for card games.